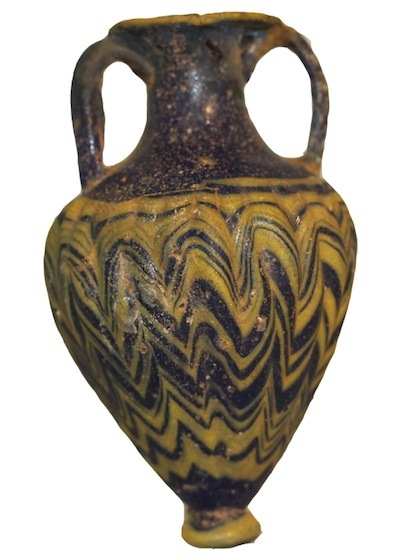 ﻿description: Twin-handled, core-formed amphoriskos with a ribbed body and decorated with tooled yellow threads. Cobalt blue and yellow glass. Portions of the lip and one handle restored.